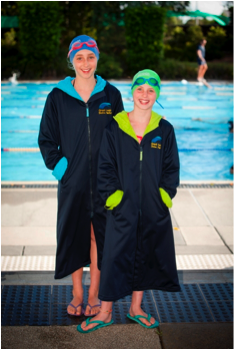 Great Aussie Swim Parkas are the ideal product to ensure a quick and easy getaway from the pool. Swimmers can simply slip on their parka, zip it up and go! 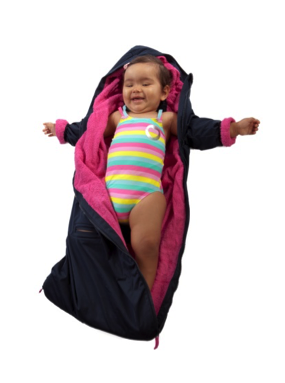 The 100% cotton towelling will keep them warm and cosy and the specially treated outer shell will keep the car seats dry. Bulk bookings made once/term and Swim School clients receive up to 20 % discount on recommended retail prices.